Since 1 October 1995, Baustoff+Metall PC Rijeka has been operating in the region of Kvarner, Istria, Gorski Kotar and islands (Krk, Cres, Lošinj, Susak, Ilovik, Unije, Pag) thus covering all of them with its commercial operations and logistics. In the course of all these years, changes occurred … in personnel … technical … logistical … and they all were in response to the demands, situations occurring from time to time, in order to raise the quality of our offer, services and, finally, in order to increase the satisfaction of our business partners. In the course of 2018, covering the region of Istria, Kvarner, Gorski Kotar and the islands by its position and assignment, Baustoff+Metall PC Rijeka made the region stronger by introducing a new employee in the commercial department – Vanja Piškulić. Both professionally, with his commercial skills and experience, as well as with his human qualities – his sincerity and high spirits, Vanja found his position in the market among our customers, business partners. We have the pleasure of seeing him develop professionally in the market of dry construction. Also we are glad to introduce another change in 2019 that will make our branch office Rijeka stronger. The increased demands, the enrichment of our product line, and even the very increase of the sales, showed that the actual space where we provide our services to you, our dear customers and business partners, turned to be too small and thus inadequate to meet all the market needs and demands. 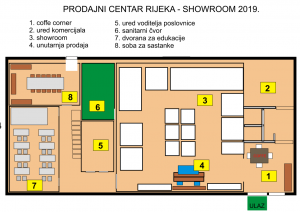 In our plan for 2019, we decided to expand our PC Rijeka showroom. The current space, which all our customers are well familiar with, in time became too small and inadequate to display and offer with quality the whole range of our products. 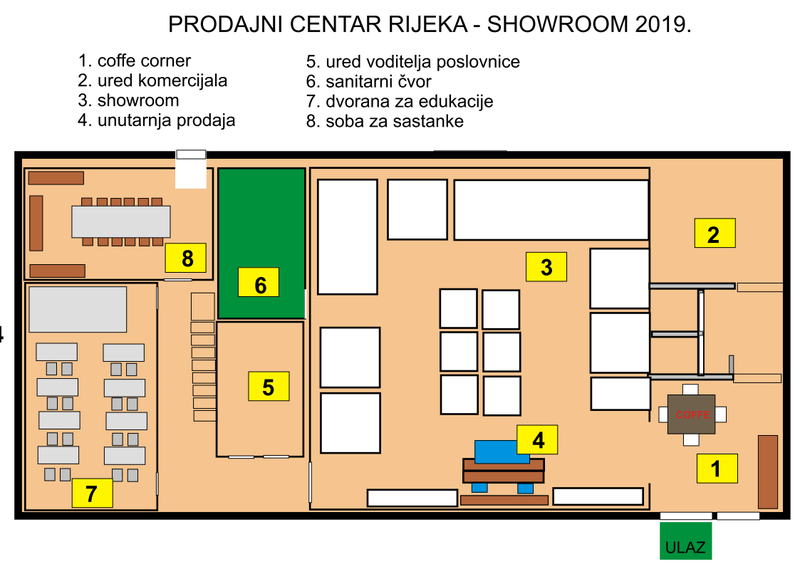 The new showroom centre, currently under construction, shall offer, on more than 250m2, all the products from our product range that we, due to limited space, were unable to show so far. Besides that, the centre will also have a special hall for educational and presentational purposes, where lectures on and presentation of the most recent materials and trends in dry construction, as well as everything else that we, in collaboration with various industries, are to prepare for our customers, will take place. And all this to the benefit and satisfaction of our customers and all business partners! And this will make us even better! Provide services of even higher quality! We all take pleasure in everything 2019 holds in store for us!